If you find yourself struggling with low energy, menopause or cardiovascular disease, an extract from the French Maritime pine tree shows promise in alleviating these conditions, plus much more. The benefits extend to ailments like diabetes, impotence, asthma, osteoarthritis and swelling in the hands and feet. Additionally, Pycnogenol increases skin elasticity and reduces both oxidative stress and collagen degradation -- thereby reducing the effects of aging. Inflammation - Inhibiting eicosanoid-generating enzymes, pine bark extract has demonstrated anti-inflammatory and platelet inhibitory effects in vivo. One study found that 100 mg/day of Pycnogenol taken orally for three months helped decrease anti-inflammatory drug use in 58 percent of the osteoarthritis treatment group. Foot edema (swelling) decreased by 79 percent verses 1 percent in controls. Pycnogenol also appears to reduce the symptoms of inflammatory bowel disease. Test results published in Phytotherapy Research suggest that pine bark extract "ameliorates ethanol 2,4,6-trinitrobenzene sulfonic acid TNBS-induced inflammation by radical scavenging activity, and may have beneficial effects as a supplement in enteral nutrition for inflammatory bowel disease," according to Ray Sahelian, M.D. Cardiovascular disease - A combination of Pycnogenol and Centella asiatica (gotu kola) helped reduce arterial lesions and plaque progression in this study. Furthermore, research published in the journal of Clinical and Applied Thrombosis and Hemostasis showed that pine bark extract minimized edema and improved blood circulation. Impotence - Since Pycnogenol encourages nitric oxide production, it supports improved blood vessel dilation, increased blood flow and oxygen to muscles. 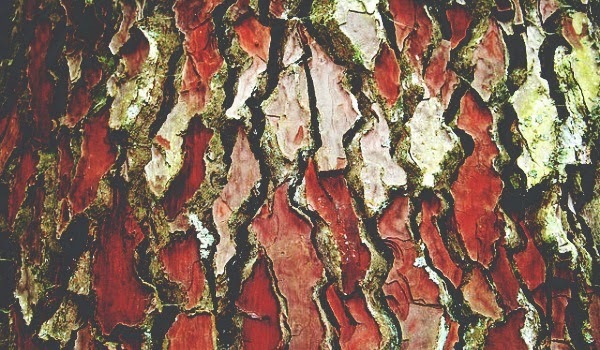 Several studies have found that pine bark extract significantly improved symptoms of erectile dysfunction and impotence. Supplemental intake of Pycnogenol (60 mg/day), L-arginine (690 mg/day) and aspartic acid (552 mg/day) for eight weeks improved sexual satisfaction and erection hardness. A slight increase in salivary testosterone was also evident in the supplement group. Menopause - Findings published in The Journal of Reproductive Medicine noted that 12 weeks of supplementation with Pycnogenol was associated with a noteworthy reduction in perimenopause and menopausal symptoms -- including (but not limited to) fatigue, night sweats, hot flashes and insomnia. The double-blind, placebo-controlled trial involved 170 perimenopausal women. The researchers concluded, "This study, applying a relatively low daily dose, allows identification of those climacteric symptoms which respond particularly well to supplementation with Pycnogenol." And there's more. Researchers at Loma Linda University in California found that test subjects, aged 6-18 years old, who took Pycnogenol for three months experienced significant improvement in asthma symptoms compared to the placebo group. In another study, the extract was found to be effective in lowering plasma glucose levels in 77 patients with type 2 diabetes. Additionally, Pycnogenol improved diabetic microangiopathy, as well as retinopathy -- the latter characterized by vascular lesions and hemorrhages that cause vision loss. Treatment with pine bark extract was shown to encourage capillary resistance and curb leakages into the retina.